It’s usually around this time of year when my husband and I start thinking about vacations…and then we cross our fingers that we get a tax return so we can actually go on one! 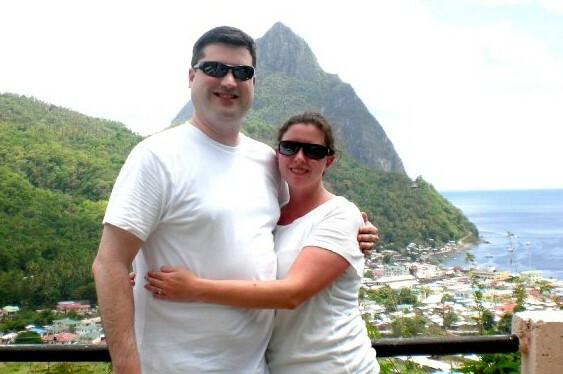 One of the best trips we’ve ever taken was to St. Lucia for our honeymoon. The lush, tropical rain forest with bright, neon buildings dotted into the hillsides served as a beautiful background for the perfect trip. Whenever I’m having a stressful day, I think back to that vacation and I immediately go to my “happy place”. Your colours are just stunning.